On March 17, 1752, the Governor-General of New France, Marquis de la Jonquière died, and was temporarily replaced by Charles le Moyne de Longueuil. It was not until July 1, 1752 that his permanent replacement, Ange Duquesne de Menneville, arrived in New France to take over the post. 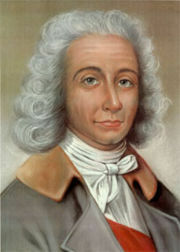 Longueuil dispatched an expedition to the Ohio River area under the command of Charles Michel de Langlade, an officer in the Troupes de la Marine. Langlade was given 300 men comprising members of the Ottawa and French-Canadians. His objective was to punish the Miami people of Pickawillany for not following Céloron's orders to cease trading with the British. 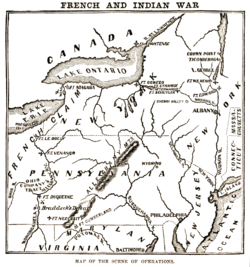 On June 21, the French war party attacked the trading centre at Pickawillany, killing fourteen people of the Miami nation, including Old Briton, who was reportedly ritually cannibalized by some members of the expedition. Jacques-Pierre de Taffanel de la Jonquière (April 18, 1685 – March 17, 1752) was a French admiral and Governor General of New France from March 1, 1746 until his death in 1752.